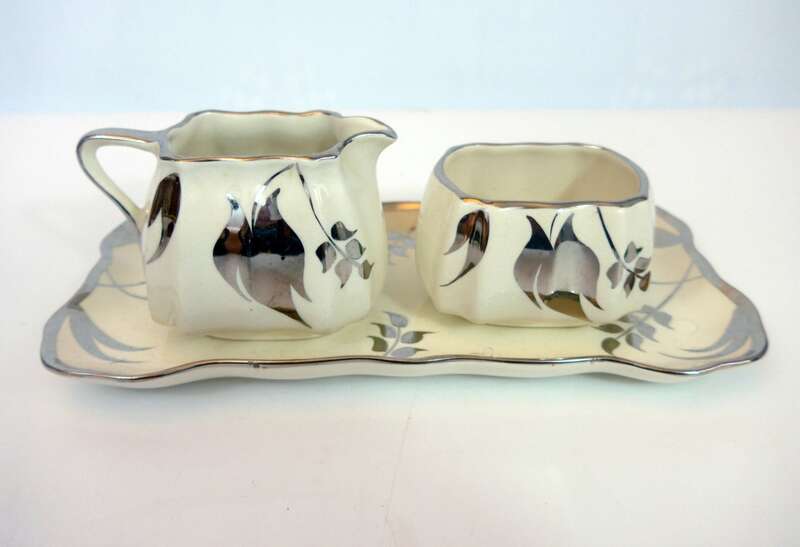 Adorable 3 pices Sandland Ware Silver Luster Sugar and Creamer Set made by Lancaster & Sandland Ltd, in Hanley Staffordshire, England. 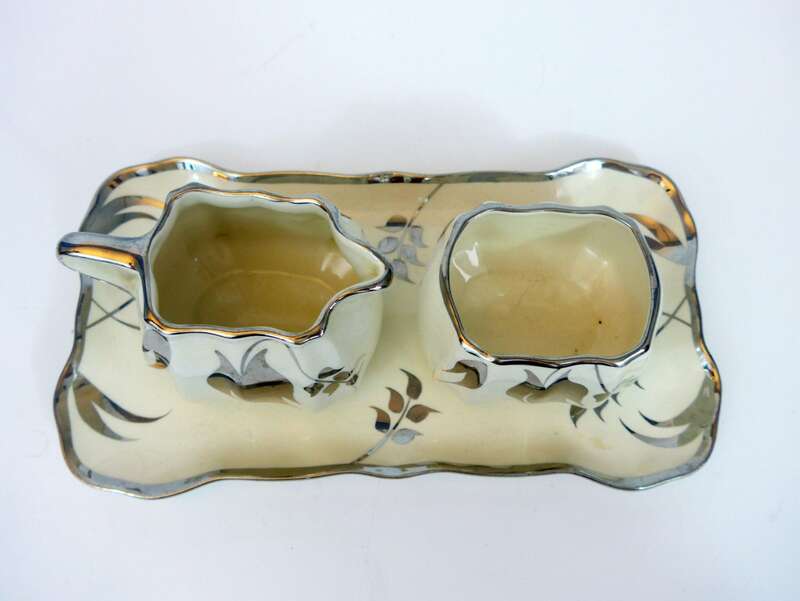 Small vintage open sugar bowl, creamer and serving tray they sit on was made by Lancaster & Sandland Ltd. in Hanley, Staffordshire England circa 1944 to 1968 in the Silver Leaf pattern. 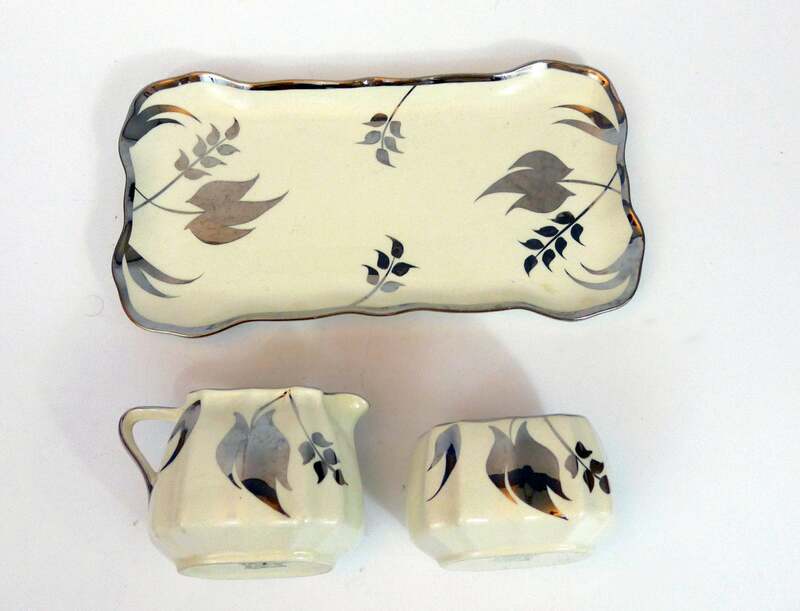 This 3 piece set features sliver lustreware leaf designs on both sides and matching edge trim on ivory or off-white white porcelain. This set displays beautifully. 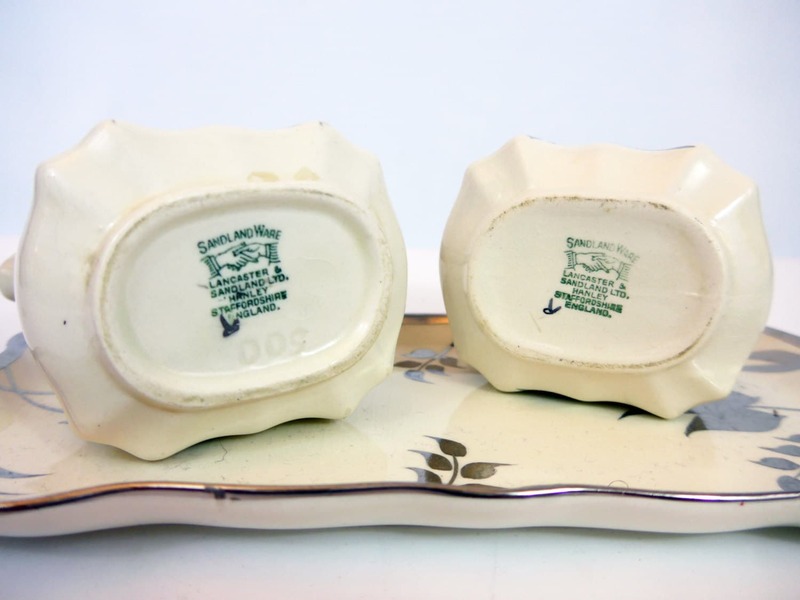 Marked on bottom of each piece in green, “Sandland Ware”, two shaking hands logo,“Lancaster & Sandland Ltd., Hanley England”. 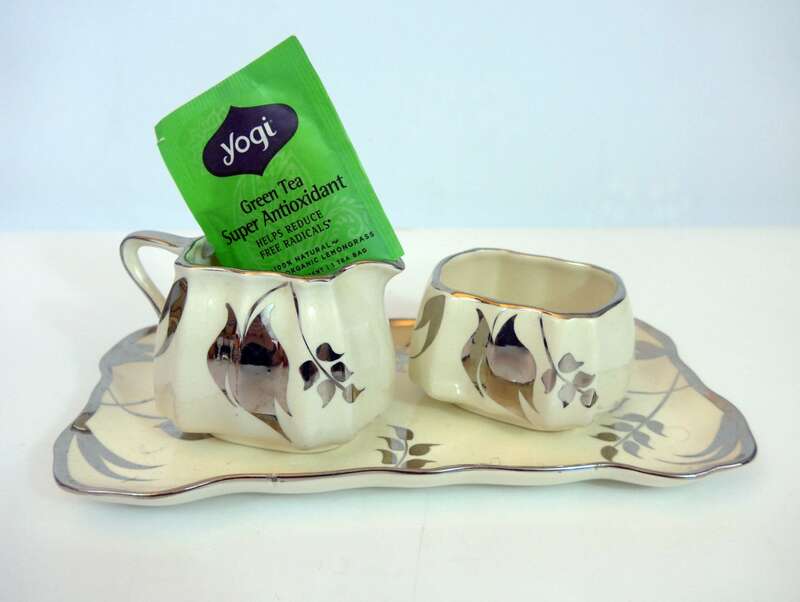 Creamer also has “500” embossed on the bottom. The tray has "563" embossed on the bottom. Each piece has a handpainted "R" which is probably the artist's initial. In very nice vintage condition with no chips or cracks. Light crazing and wear commensurate with vintage age.